NOTE: These requirements are ONLY for current throwers with at least ONE YEAR experience and have competed in open competition under a recognized knife or ax throwing organization. 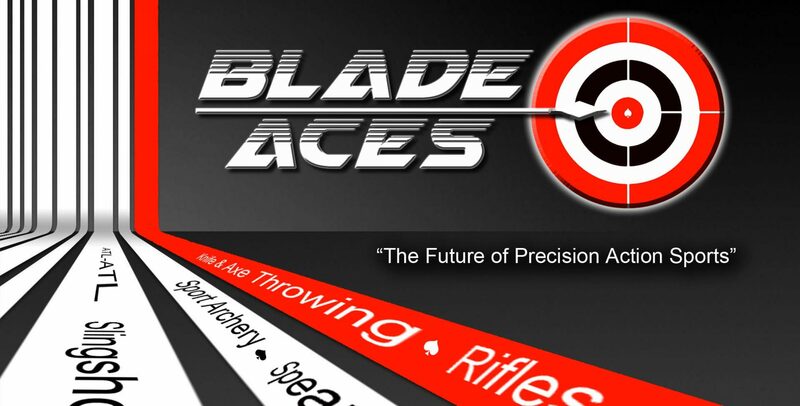 The Blade Aces Instructor Certificate provides entry-level instructors assigned to implement and deliver courses in knife and ax throwing, training programs and training activities, and instructing students to Blade Aces Precision Action Sports League rules, regulations and competitions. An emphasis is placed on communication skills, instructional skills, and practical application of basic throwing skills. A certificate of completion for the Basic Instructor Certificate will be awarded upon completion of required tests. Please contact Dr. TJ Cuenca or Melody Joy Cuenca at bladeaces@gmail.com regarding the award of the Basic Instructor Certificate. Your registered and numbered certification will be kept on record at the Blade Aces HQ. It can serve as official documentation of your capabilities and training as a Knife & Axe Throwing Instructor for use with insurance and business licensing purposes. The Expert Instructor Certificate requires an Expert level competitor score of 200-249 points in open competition in any recognized knife or ax throwing competition with 25 or more competitors present. The Master Instructor Certificate requires a Master level competitor score or 250-300 points (out of a possible 300 points) in open competition in either knife or ax throwing in any knife or ax throwing competition with 25 or more competitors competing. Participate in a two-day (12 hour) seminar with one of our Blade Aces certified Expert or Master instructors. The first day will be an 6-hour Basics Course in throwing, safety, rules and guidelines, teaching techniques, lane and target setup and course management. The second day is a 4-hour test comprised of a written test on Blade Aces rules and regulations (1 hour) and a Practical Test that requires the candidate to throw a complete Blade Aces competitive score in knife & axe, exhibit practical knowledge in commonly held games and instruct a new or novice thrower in successfully throwing and sticking a knife and ax at the 2 meter, 3 meter and 4 meter mark (3 hours). Sign up and participate in online course on throwing, safety, rules and guidelines, teaching techniques, lane and target setup and course management. Then complete and pass an online test on Blade Aces rules and regulations. The practical test must be recorded (without edits) that shows the applicant completing a complete knife throwing competitive round (amateur division only) from ½ spin, 1 spin, 1 ½ spin and 2 spin. And a complete ax throwing competitive round (amateur division only) from 1 spin, 1 ½ spin and 2 spin. A separate video of the applicant instructing a new or novice thrower in successfully throwing and sticking a knife and ax at the 2 meter, 3 meter and 4 meter mark (3 hours) must also be submitted. The new thrower MUST sign an affidavit that he/she is a new or novice knife/ax thrower and that this is their first time throwing with the applicant. Basic Instructor: Any current knife and ax throwing instructor who can present evidence from a recognized knife or ax throwing organization with 20 or more members, that they have trained a student to such a point that that student has achieved a score of 100+ points (Intermediate level score) in an open competition in any recognized knife or ax throwing competition with 25 or more competitors present, can be officially recognized as a Basic Level instructor in the Blade Aces Organization once the appropriate Blade Aces membership dues and instructor fees are paid. Expert Instructor: Any current knife and ax throwing instructor who can present evidence from a recognized knife or ax throwing organization with 20 or more members, that they have trained a student to such a point that that student has achieved a score of 200+ points (Expert level score) in an open competition in any recognized knife or ax throwing competition with 25 or more competitors present, can be officially recognized as an Expert Level instructor in the Blade Aces Organization once the appropriate membership dues and instructor testing fees are paid. Also, Expert and Master scores MUST be thrown at the same distances as Blade Aces Pro Distances from 3m to 7m. Applicants must also be able to pass the Blade Aces written test for throwing, safety, rules and guidelines, teaching techniques, lane and target setup and course management. Master Instructor: Any current knife and ax throwing instructor who can present evidence from a recognized knife or ax throwing organization with 20 or more members, that they have trained a student to such a point that that student has achieved a score of 250+ points (Master level score) in an open competition in any recognized knife or ax throwing competition with 25 or more competitors present, can be officially recognized as a Master Level instructor in the Blade Aces Organization once the appropriate membership dues and instructor testing fees are paid. Also, Expert and Master scores MUST be thrown at the same distances as Blade Aces Pro Distances from 3m to 7m. In order for a non-thrower or a beginning thrower (ie. owners and operators of ax throwing facilities) to be certified as a Blade Aces certified instructor, you have to go through a rigorous Blade Aces Basic Instructor’s Bootcamp course program over a three day period (6 hours on Day 1 and Day 2; practical and written test on Day 3) for a total of 18 hours. This can also be condensed into a 14 hour, two-day course for sake of time. You will be instructed on proper blade handling, stance, control, windage, elevation, power, accuracy as well as safety, student management, teaching techniques, lane and target setup, course management and competition scoring. We guarantee that you will be able to throw and stick your ax (or knife) from half, one and 1.5 rotations as well as teach others by the end of this 3-day intensive course. You have a choice of having a certified instructor come to your location (course fee plus travel expenses) or you can come to our Las Vegas Headquarters at the Superhero Foundry for the Blade Aces Basic Instructor’s boot camp course. The cost of this course is based on a standard fee plus the number of trainers requiring certification, so please indicate the number of expected attendees in your inquiry. Call us at (702) 785-3111 or email us at bladeaces@gmail.com for more details and costs. Please put ‘BA Instructor Bootcamp’ on the subject line. NOTE: If you are interested in taking the Blade Aces Instructor certification test or course, please email your request to Melody at bladeaces@gmail.com with your name, email address, number of attendees and contact number.